What will our little beach community look like in 5 years? 10 years? 20 years? Of course, only time will tell. 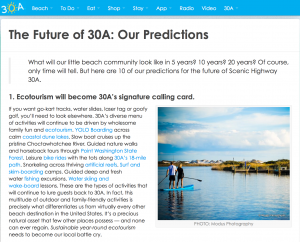 But here are 10 of our predictions for the future of Scenic Highway 30A.